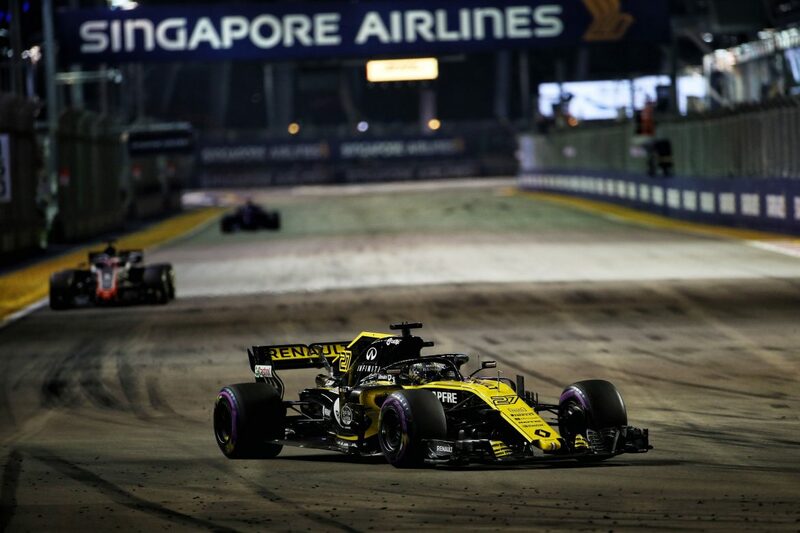 Renault Sport Formula One Team recorded its sixth double-points finish of the season after Carlos Sainz’s eighth place and Nico Hülkenberg’s tenth place finish in the Singapore Airlines Singapore Grand Prix at the Marina Bay Street Circuit. Both drivers made clean starts with Carlos passing Nico into turn one then holding that position in the early running. 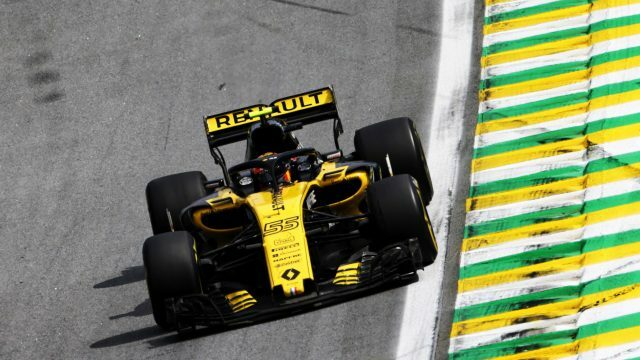 Carlos – on his 75th Grand Prix start – enjoyed a quiet race from there, running a long first stint on the Ultrasoft tyre, before comfortably finishing in eighth for the second time in as many races. 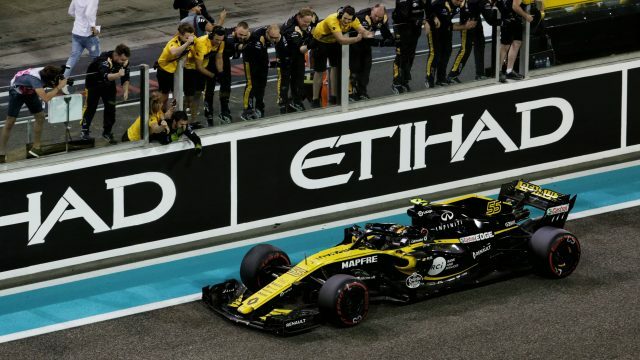 After starting on the Hypersoft tyre, Nico – on his 150th start – pitted early and ran long on the Ultrasofts, driving a smart and calculated race to the flag for his first points finish since the German Grand Prix. • Nico started from P10 on used Pirelli Hypersoft (pink) tyres, pitting on lap 15 for a new set of Ultrasoft (purple) tyres. • Carlos started from P12 on new Ultrasoft tyres, pitting on lap 37 for a new set of Soft (yellow) tyres. 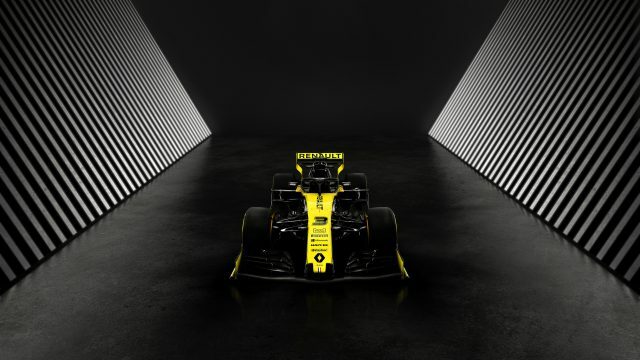 Nico Hülkenberg, #27, R.S.18-04: Started P10, finished P10. Carlos Sainz, #55, R.S.18-03: Started P12, finished P8. Overall, we’re satisfied with this evening’s race as both cars finished in the points. We didn’t qualify as well as we could have yesterday so we needed a strong performance today and both drivers and the engineers on the pit wall delivered what was required. After a poor start, Nico drove sensibly with his head to return to the points, making the most of an undercut on Grosjean followed by a very long stint on the Ultrasofts. On his side, after a good start, Carlos drove smartly, attacking when it mattered and controlling when necessary for his eighth place. Five points is a useful benefit to our battle in the Constructors’ Championship, as we know it will be very tight in the next six rounds. On a broader note, we saw Red Bull and Max Verstappen on the front row and finishing second for the second time this season, which is a good reward for the C-spec engine, demonstrating our progress on that front. But, on the power unit, like on every other area of the car, we can measure this weekend once again the work we have ahead of us.